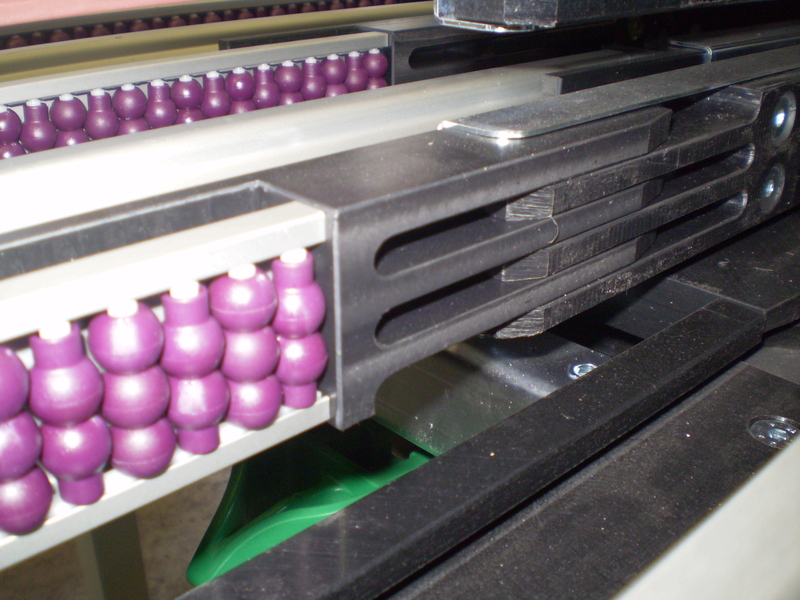 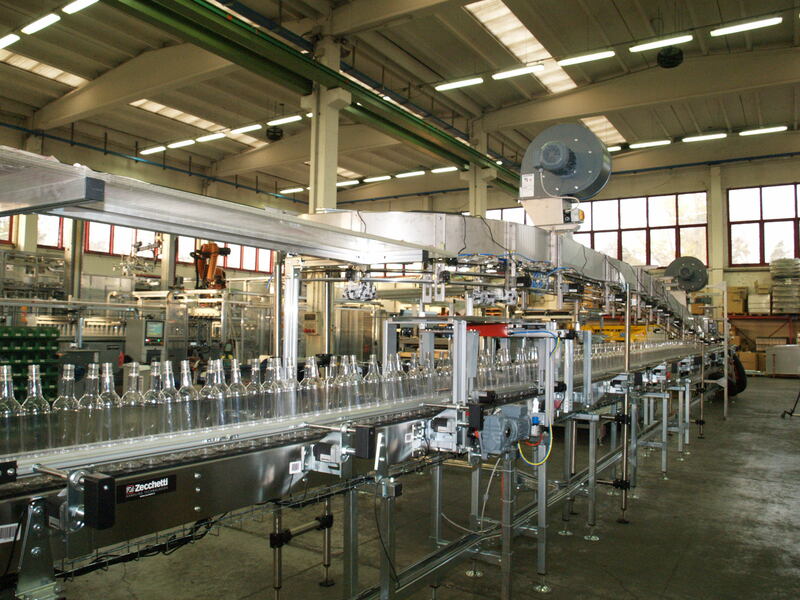 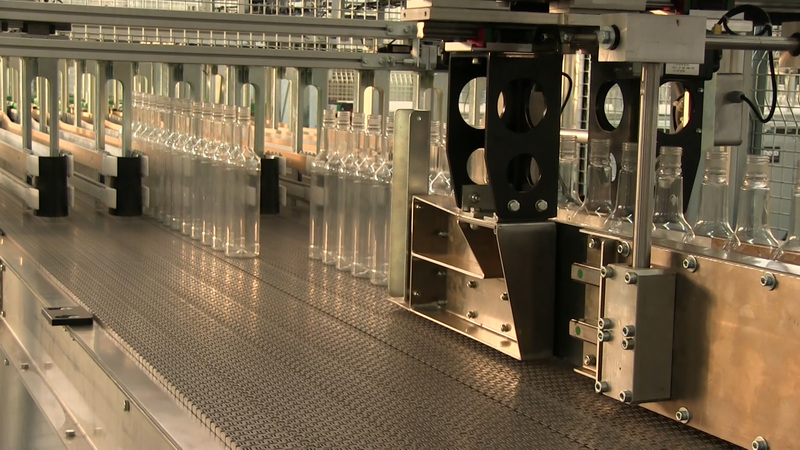 Zecchetti has been one of the first manufacturers introducing the format change-over automation (bottle guides). 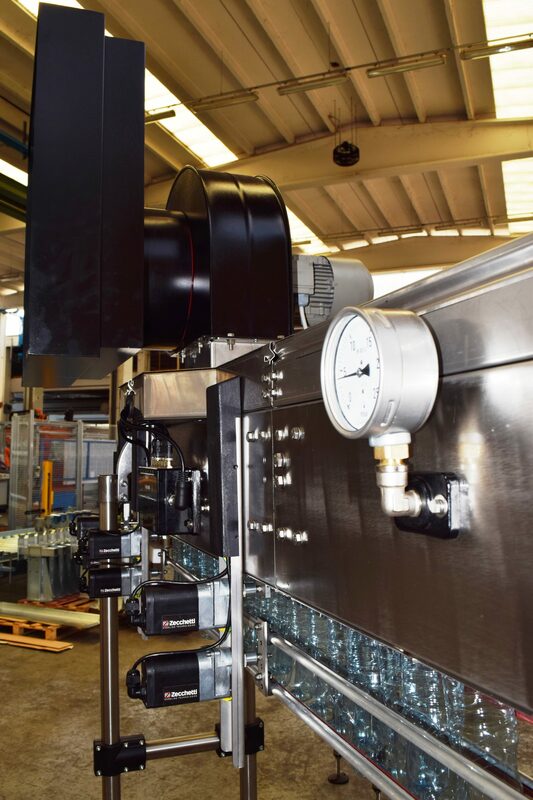 Today we can boast a highly sophisticated management of the lines which allows a functional and flexible adjustment at all areas. 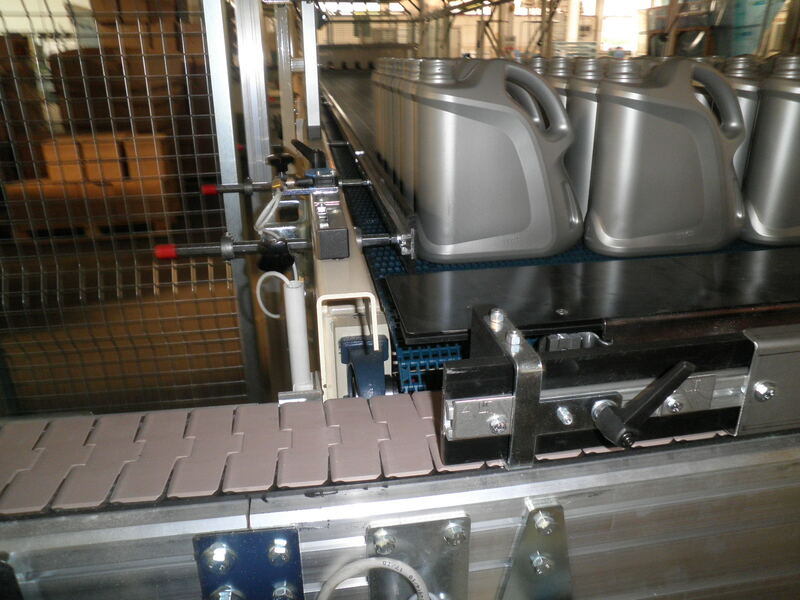 The driven adjusting systems are smart and provided with self-diagnostic. 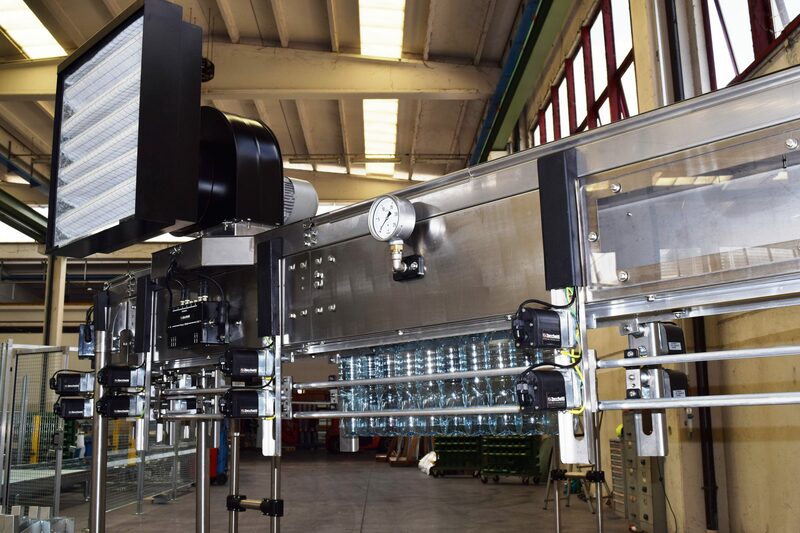 Based on the bottle design, Zecchetti proposes “AIR” or “CHAIN” conveyors, both guaranteeing a safe and efficient operation. 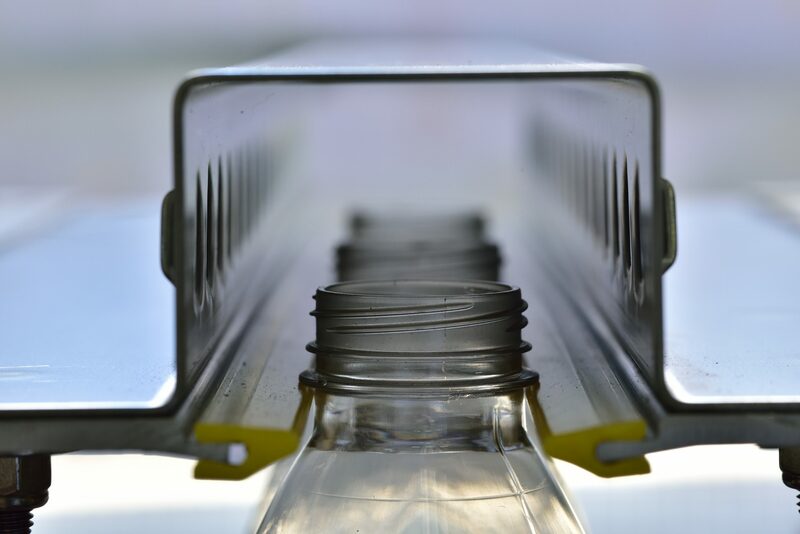 An air flow blown on the bottle neck: the quickest and safest way of moving empty plastic and PET bottles. 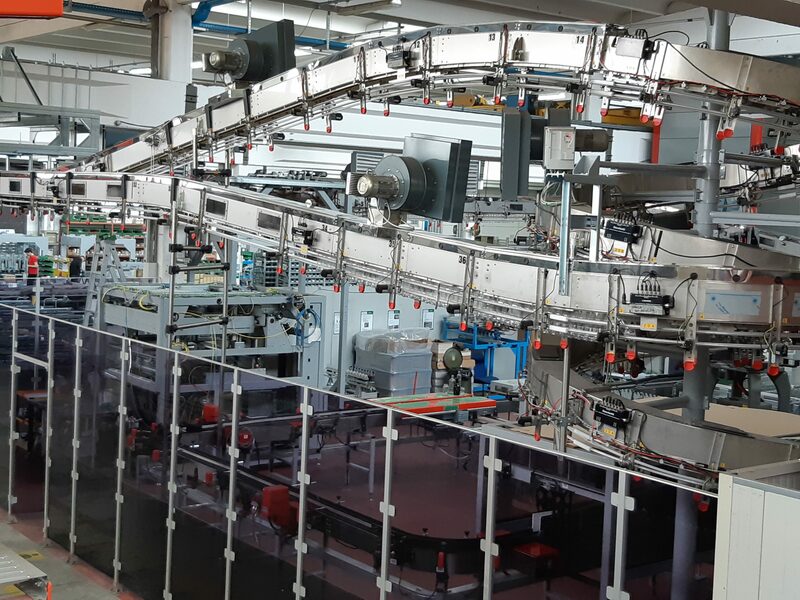 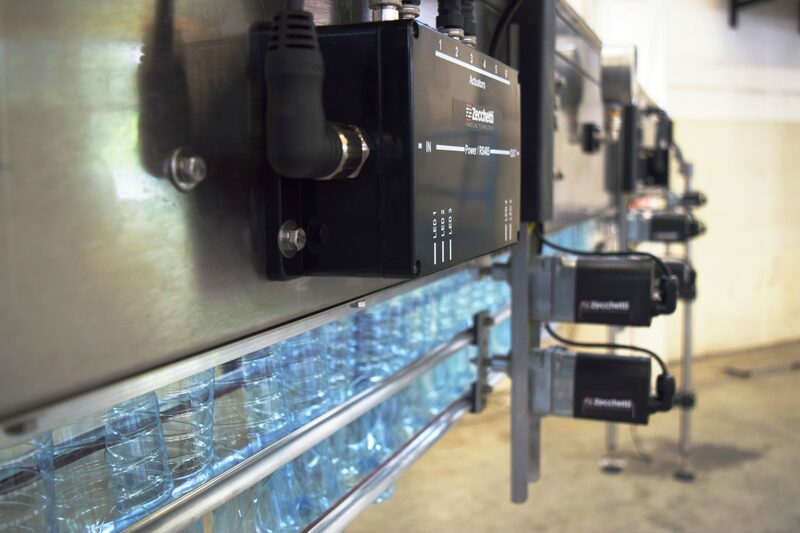 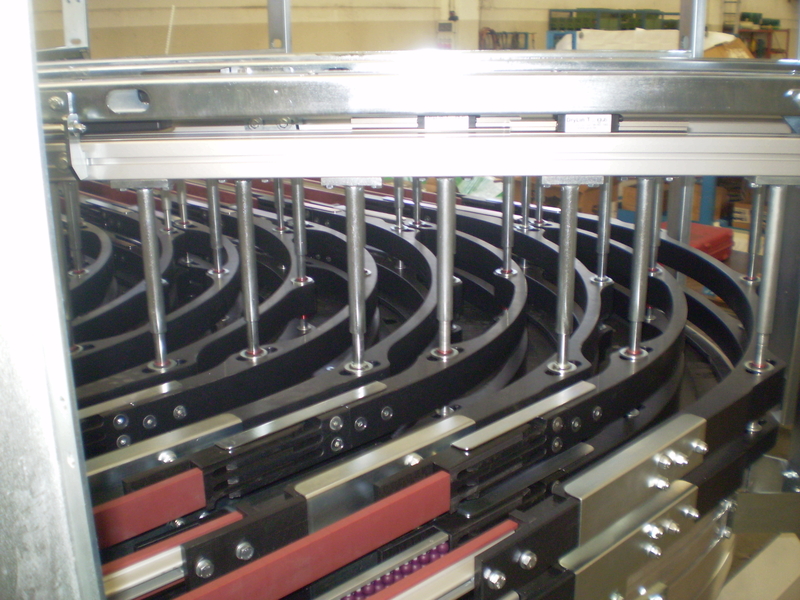 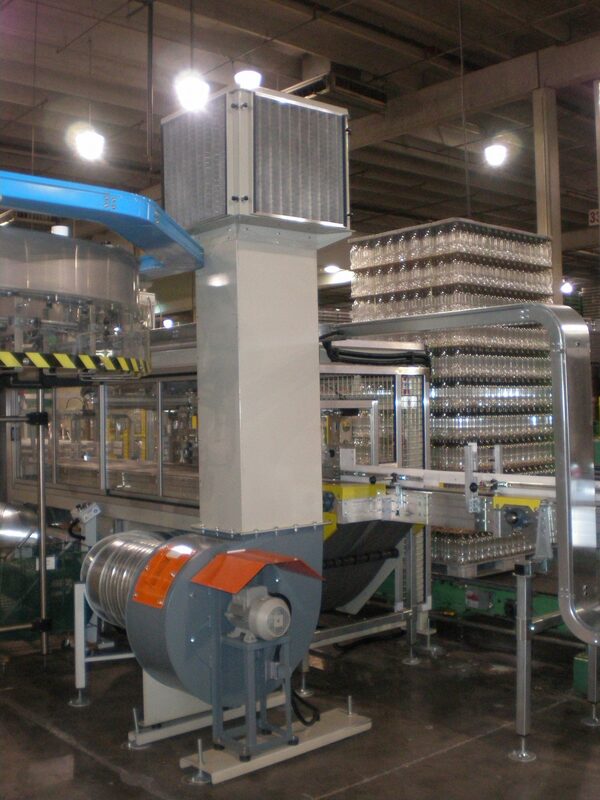 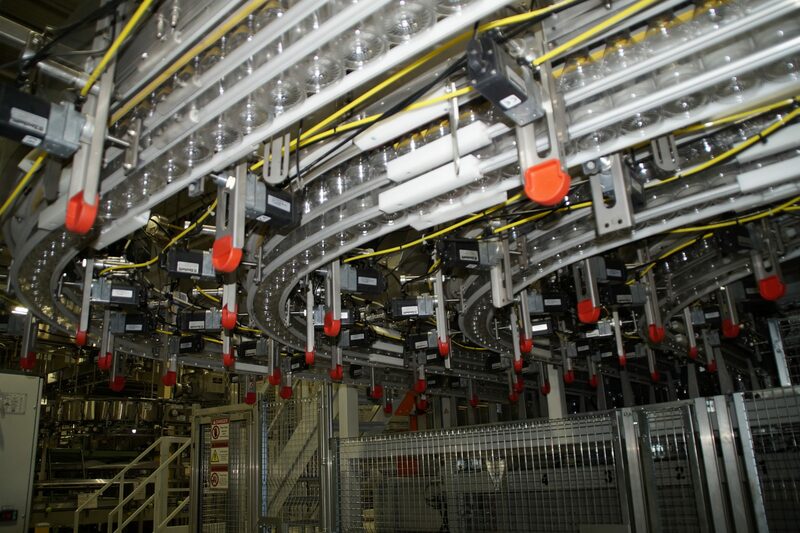 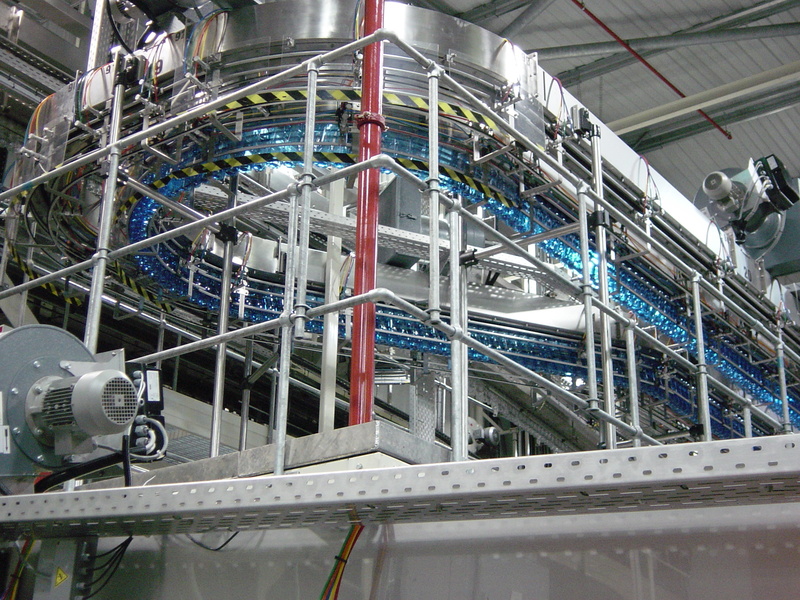 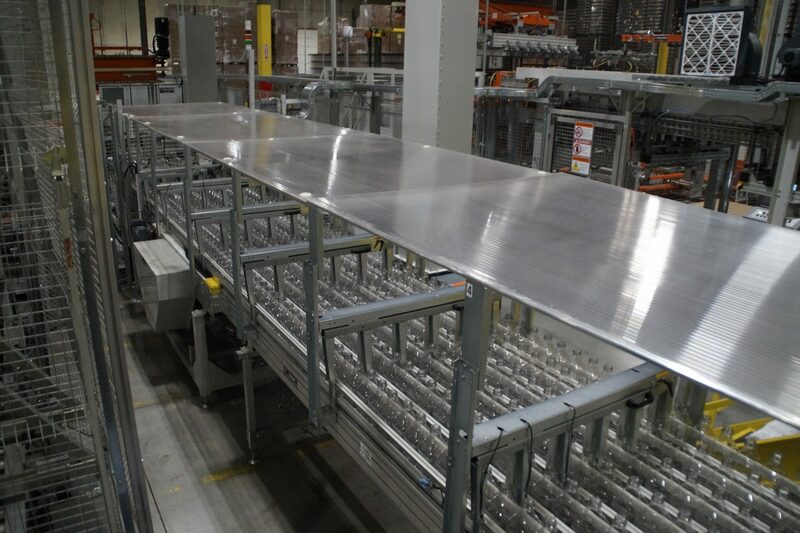 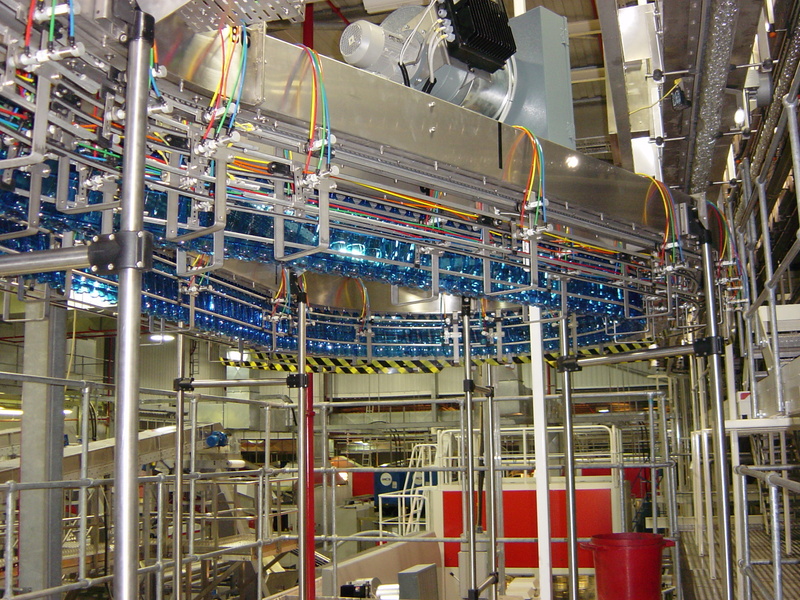 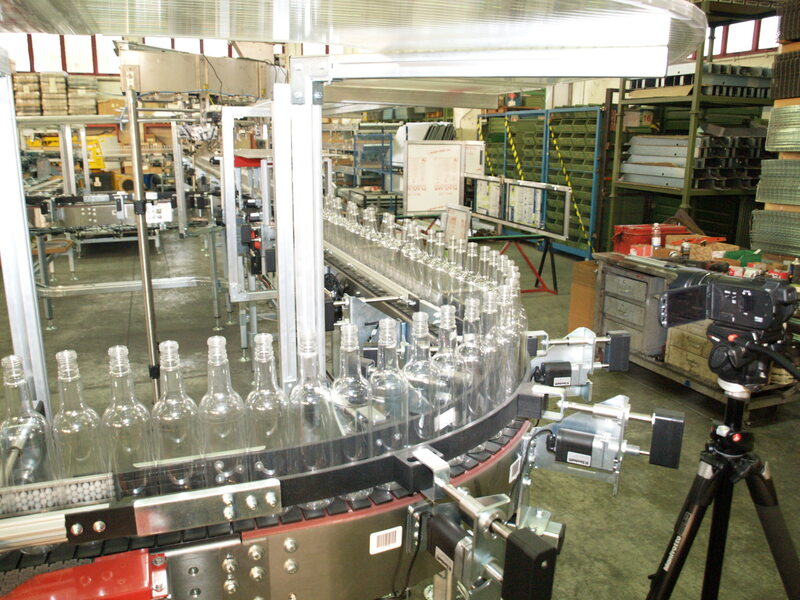 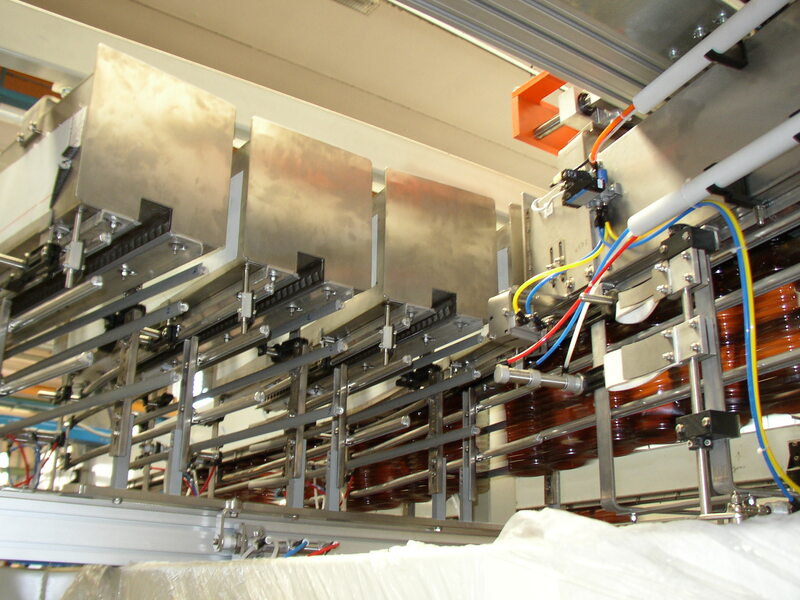 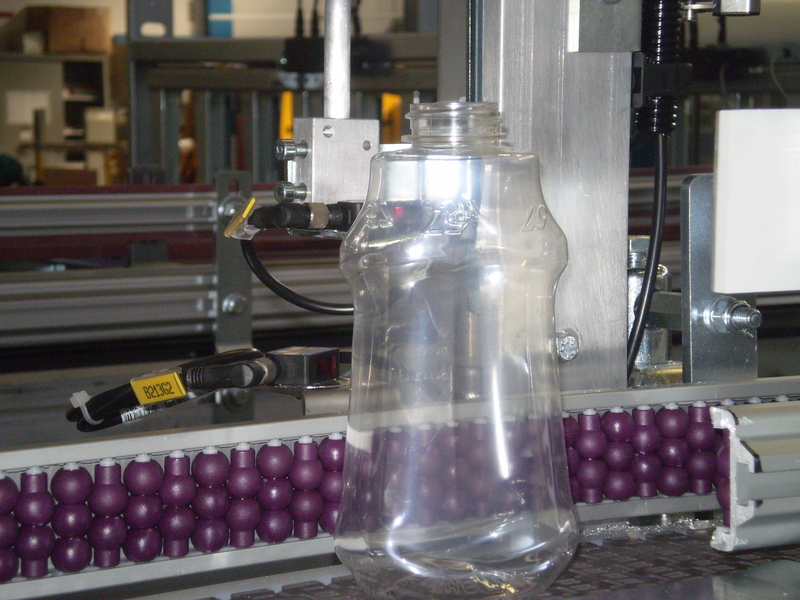 The primary target of a Chain Conveyor is to ensure a smooth, safe and efficient transfer of even light and unstable bottles that cannot be transported “by air”. 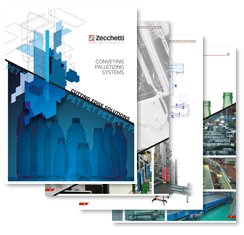 To succeed in this, Zecchetti realizes every detail with high quality materials and each critical area is designed with the right solution. 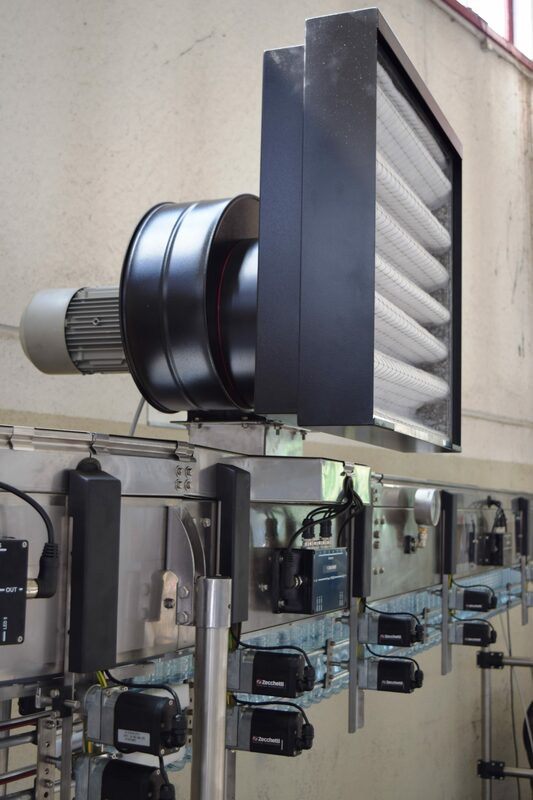 ENERGY SAVING: Smart adjustment of the motor speed to minimize the energy requirements and the power consumption of the line. 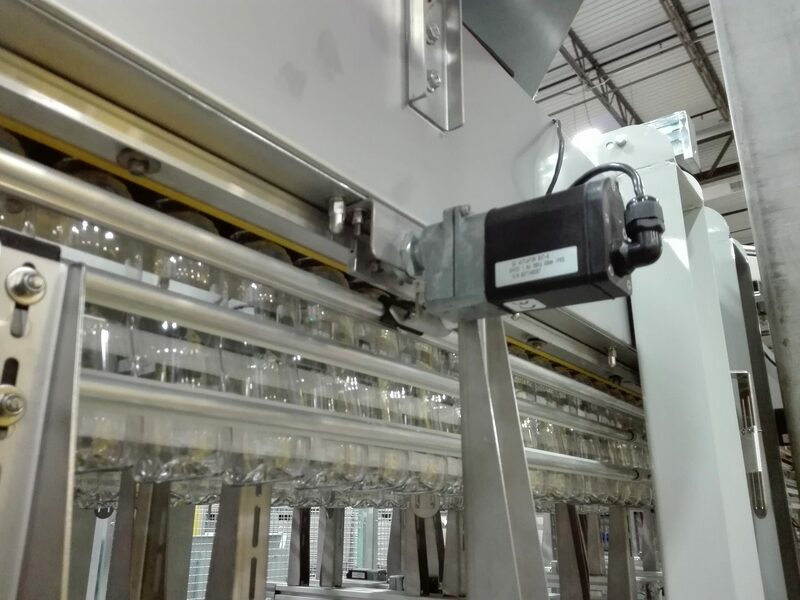 MOBILE WIRELESS SUPERVISION : Acts on the conveying line from wherever the operator is located giving the possibility of adjusting every single driven group of the line and save the changes in the recipe. 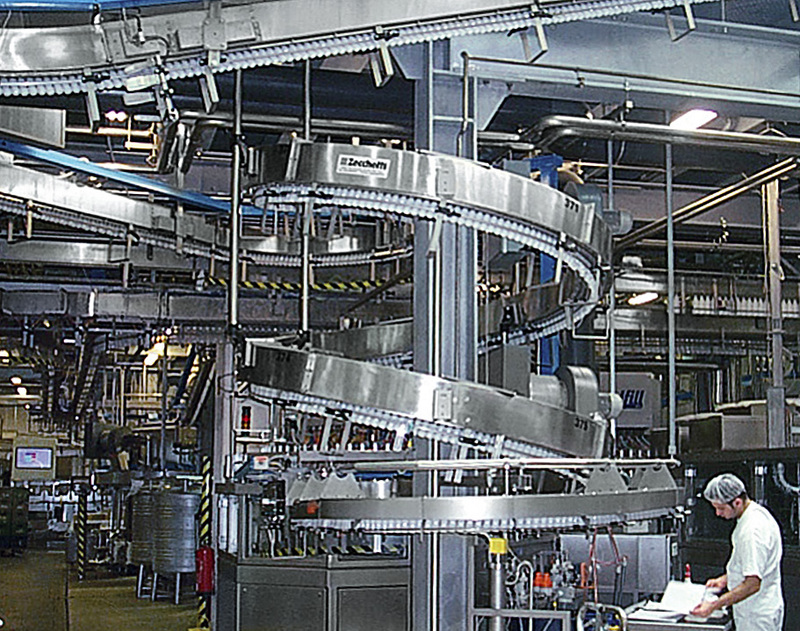 SMART CONTROL ENGINEERING: The ZetAPP is a user friendly, highly developed Supervision Software with great flexibility in the recipe setting to guarantee top performances.